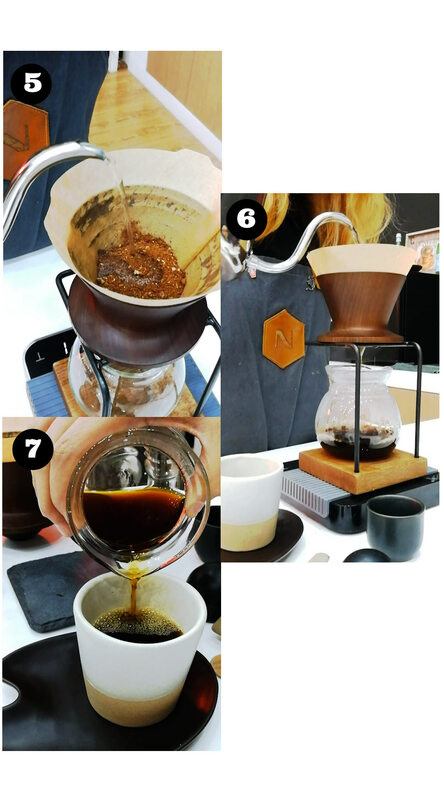 With the rise of third-wave coffee shops, there’s been a revival of traditional brewing methods, such as pour-over. As its name suggests, this method involves pouring water over grounds placed in a dripper or brewer. While this sounds simple enough, there’s a science to how much water you pour in how much time, in order to extract the best flavor from your beans. And though pour-over brewing isn’t necessarily better than using an espresso machine, it does highlight different characteristics of the coffee. You can also play around with lighter roasts than you could with a machine. Besides, nothing beats the aroma and taste of freshly ground beans. 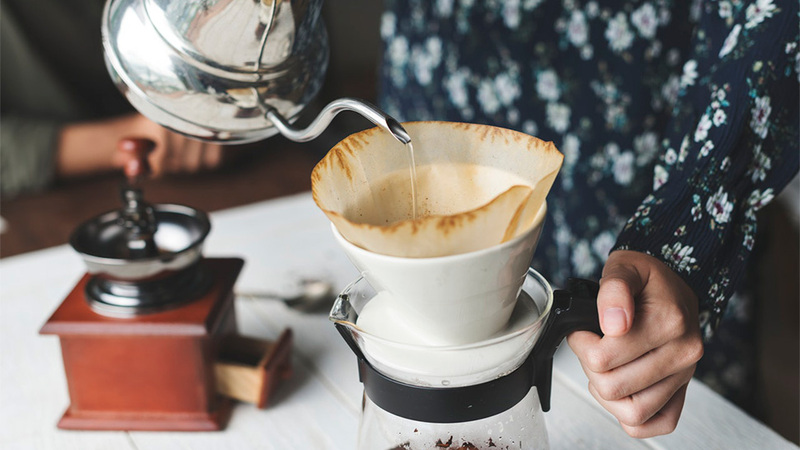 Taking the time to brew your own coffee rather than just pressing the button on a coffee machine can make for a relaxing morning ritual as well. Andi Trinidad, owner of Narrative Coffee Company, has made it her mission to promote pour-over coffee. 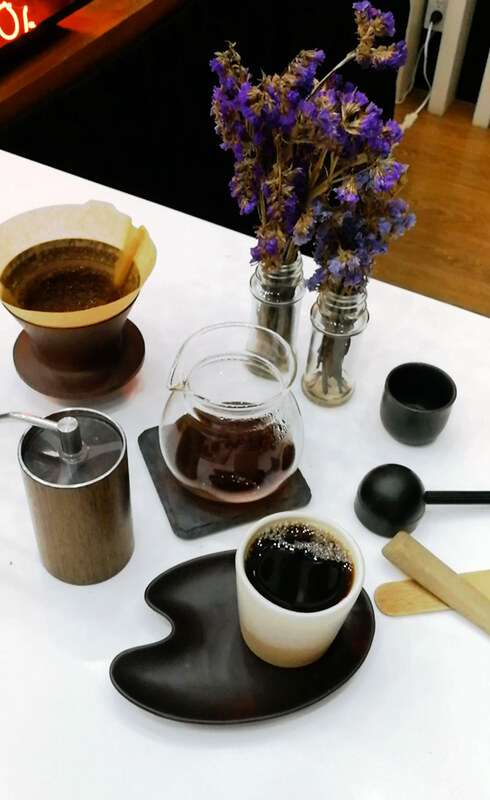 In fact, Narrative Coffee is the country’s first and only brew bar in Manila—meaning they serve coffee using the pour-over method only, with nary an espresso machine in sight. 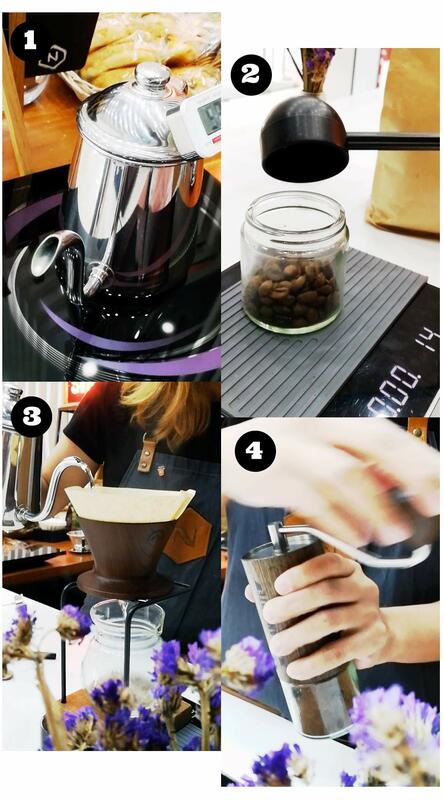 She’s shared her own recipe for the perfect cup of pour-over coffee with us, so that you can make it at home. At Narrative Coffee, Trinidad uses a coffee-to-water ratio of 1:15. That means if she uses 15 g of coffee, she multiplies that by 15 to get about 230 ml of water. Place the brewer over the server, then put a filter in the brewer. Next, rinse the brewer by pouring a little hot water into it—this ensures that the temperature of the brewer and server is consistent, and keeps the taste of paper from sticking to the coffee. Set the grind-size to medium-coarse. While manually grinding coffee is a great way to relieve stress, you can also use an electric grinder if you aren’t up to an arm workout. Pre-infusing preps the beans for brewing by releasing carbon dioxide. To do this, empty the rinse water and place the coffee grounds in the filter. Then pour 60 ml of water in 30 seconds, starting in the center and swirling outward. This preps the beans for brewing by releasing carbon dioxide. Allow the pre-infusion to sit for 30-45 seconds. Pour 56 ml of water for 30 seconds three times. Again, do so in a swirling direction to “agitate” the grounds. Agitation is basically anything that moves the grounds, and it affects the coffee’s flavor. Needless to say, practice makes perfect. You’ll know you’ve over-extracted if the resulting coffee is bitter and ashy. If the resulting flavors are salty and vegetal, it means you’ve under-extracted. The ideal flavors are sweet, floral, and fruity. The whole brewing process should take 2.5 to 3 minutes, to avoid over or under-extraction.